The area comprising the present District of Tuensang remained totally unadministered in the pre-independence days. The British had declared it as an Excluded Area. The people had almost no contact with the outside world. Head hunting and other primitive practices were common and in fact a case of head hunting was reported as late as October 1963 at Panso in the District. In 1948, for the first time, an administrative center was established at Tuensang and in 1945 the area (including the present Mon, Longleng and Kiphire Districts) was brought under the North East Frontier Agency (NEFA) as the Tuensang Frontier Division. In 1957, the Tuensang Frontier Division was merged with the Naga Hills District of Assam to form an administrative unit called the Naga Hills Tuensang Area (NHTA). The administration of NHTA was the responsibility of the Govenor of Assam under the control of the Ministry of External Affairs, Government of India. There were only three districts at that time in Nagaland, Kohima, Mokokchung and Tuensang. As a result of the 16 point agreement signed between the Naga People’s Convention and the Government of India, NHTA became a full-fledged State of Nagaland on 1st December 1963. It was the 16th State of the India Union. Special provisions were, however, made for the then Tuensang District in view of its relative backwardness, under which the District would have a Regional Council for a period of Ten years with the Deputy Commissioner as Chairman. 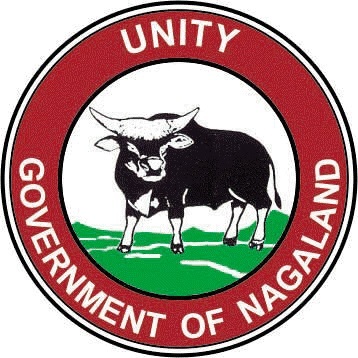 The Regional Council also nominated tribal representatives to be the members of the Nagaland Legislative Assembly. There was a separate Ministry for Tuensang affairs from among the nominated members of the area. It was only in 1973, at the end of the ten-year period that the Regional Council was abolished and the people of Tuensang district began to participate in the elections to the Nagaland Legislative Assembly along with the rest of the state. There were 20 MLA’s from the area out of a total of 60 seats in the Assembly. Later, the three Districts of Nagaland were reorganized into seven District whereby Tuensang was bifurcated into two Districts – Tuensang and Mon. Tuensang was further divided in 2004, when Longleng and Kiphire two of its Sub-Division were made full-fledged districts.